Anna J. Small Roseboro is widely known for her work with groups like the National Council of Teachers of English (NCTE), the Conference on English Leadership, the California Association of Teachers of English, the Michigan Council of Teachers of English, the California Association of Independent Schools and the Michigan Council of Teachers of English. With 40 years experience in public and private schools, she is a National Board Certified Teacher vetted by the National Board of Professional Teaching Standards. A sought-after convention speaker, Mrs. Roseboro earned a B.A. in Speech Communications from Wayne State University and an M.A. in Curriculum Design from the University of California, San Diego. Her articles have appeared in journals such as English Journal, English Leadership Quarterly, Fine Lines: A National Quarterly, Creative Writing Journal, California English, Utah Journal of Teachers of English, San Diego Museum of Contemporary Art Journal, and the CAIS Quarterly. Additional publications include Black Boy, Autobiographical Guide (ScottForesman, 1995), and “Multicultural Literature: A Challenge and an Opportunity,” in Multicultural Voices’ Teacher’s Resource Book (ScottForesman, 1994). See more recent publications here. Mrs. Roseboro has consulted with and read manuscripts for textbook publishers and represented Rotary International in a group-study exchange with educators in Africa. She taught at Rochester Theological Institute, Grand Valley State University, and Calvin College. From 1989 to 2005 she directed summer sessions at The Bishop’s School, La Jolla, CA—a program for students in grades 5-12. She was English Department Chair at Bishop’s from 1999 to 2005. She was a faculty leader at the NCTE Affiliates Leadership Conference, (2008-2011) working with national finalists who submit proposals for education leadership projects in their local districts. In 2009, the California Association of Teachers of English honored her with their coveted Distinguished Service Award. In 2016 the National Council of Teachers of English chose her for their Distinguished Service Award. 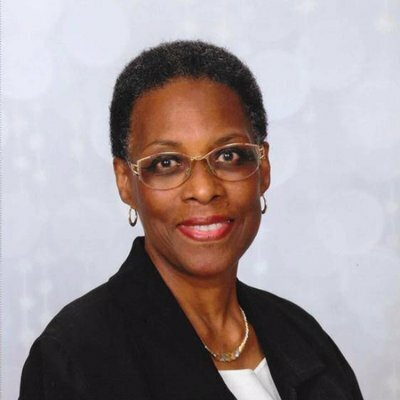 A wife of five decades to Mr. William Gerald Roseboro and mother of three adult children, Mrs. Roseboro enjoys spending time with her extended family, mentoring early career educators and Sunday School teachers, posting lessons and blogging and traveling.